21:02 – All kinds of Purple! 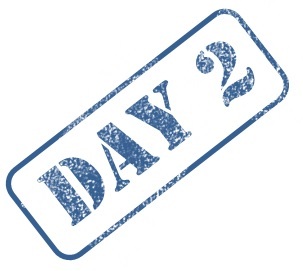 It’s day two of this years first 21 day declutter challenge. Since this IS the year for getting rid off stuff, I thought it made sense to do a Christmas decoration review. Most of my Christmas decoration is in the color of red and silver, but now and then I veer off into different color schemes. The last couple of years however, I’ve been going back to basic. So I figured it’s time to let some the other colors go. 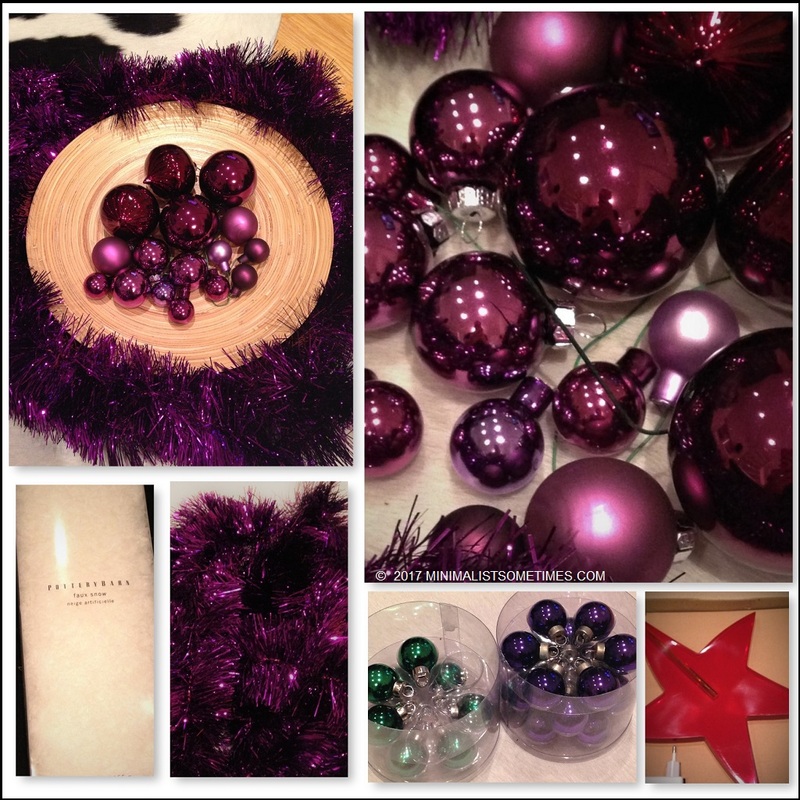 As I have decluttered my Christmas decoration a few times before, I’m mostly left with a bunch of extras in the color of purple. So here we are, a bunch of purples (yes, Melinda… sacrilegious.. I know) and others leaving the house. I’m crying into my water bottle here!! NOT the PURPLE!! Please, I beg you Queen Anne! Go you! Most years I shed a few Christmas decorations before packing the rest away. Now everything we have fits in one trunk and the small tree goes into one box. Much more better. Keep at it . . . a bucket is filled drop by drop! My stuff is mostly tree decorations also, I have some small baubles to add around some of the plant, and I have an awesome Santa that stands on the floor (wish I could add picture) beside that, it’s mostly the candles and one or two more things… oh and my snowman (a snuggly stuffed “animal” type). And that is pretty much all it.. all tucked away in a couple of boxes when not in use. I found some great boxes a couple of years ago for tree ornaments. I have two boxes and they each have several drawers and in each drawer there are little honeycomb openings for each individual ornament. It’s great. They’re not small boxes, but they store easily and the ornaments are nice and safe inside. Niiiice… it’s not always easy to find a way to keep them safe. I have made my own version of your drawer. I have a low height plastic tub that I have made similar to your honeycomb openings in, so each one have their own space. and since the tub is plastic it can take a punch without anything getting broken 🙂 I have two tubs like this sitting in one of my boxes. I like your drawer thing though…. Outside of the stuff at are decorating my house all year round (vases, pictures, plants, my grandfathers old typewriter, lamps etc) I think I have one Easter decoration, and my Christmas stuff. Every year before Christmas, I say that I’m going to go through the Christmas stuff after Christmas when I have more time. Every year, after Christmas comes and I just want to pack it all away! LOL.. maybe, now that I’m inspired by your post, I will try to go through it as I pack it away this year. Well, I still have my tree up. Gasp! I love the new spot it had this year. I’m going to take it down this weekend though and my plan is still to go through some of it before packing it away.